Can Michelin literally reinvent the wheel? The modern automotive tire is the product of centuries of development, with forerunners including leather, iron, and wood bands once mounted to horse-drawn carriages. These days, you can get a rubber tire to suit a wide range of applications, whether it’s maximum forward grip, such as the drag radials equipped on the Dodge Demon, low-rolling resistance tires on hybrids like the Toyota Prius, or studded snow tires for your winter beater. Which begs the question – what comes next? Well, Michelin is giving us a few ideas with its Visionary Concept, recently presented at the Movin’On summit in Montreal. While it’s unlikely you’ll see anything like this offered for mass consumption anytime soon, the Vision Concept does offer a few enticing models for future mobility, including enhanced adaptability, extreme long-term usage, and environmentally conscious production. 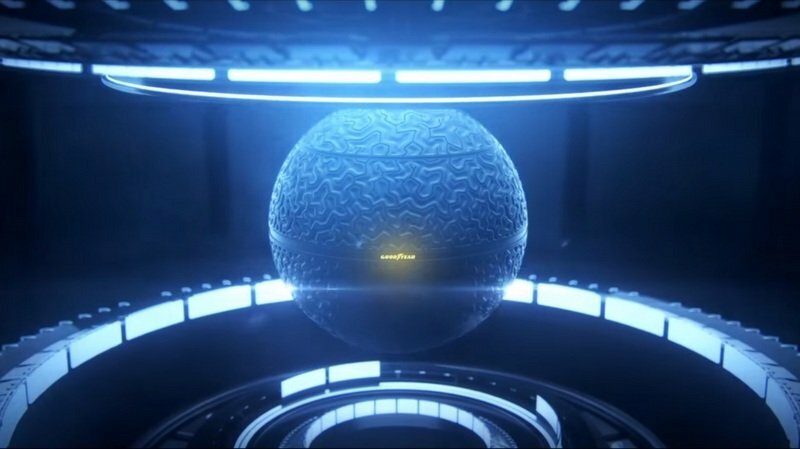 Essentially a 3D-printed tire and wheel combination, the Michelin Visionary Concept doesn’t use air to keep it pumped up, which means you won’t be breaking out the pressure gauge at the gas station. 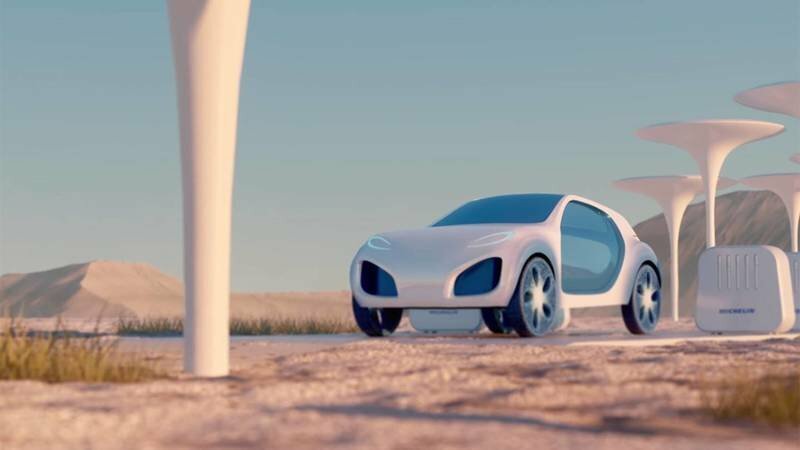 And since it uses additive manufacturing techniques, the tires will last for a very long time – “as long as the vehicle itself,” according to Michelin. Adaptability is also a key feature, with new tread designs printed directly onto the tire/wheel surface to suit whatever conditions you might face. The details on this concept are pretty interesting, so read on for more. Most folks don’t realize just how important tires are. Truth be told, those round black slabs of rubber under your fenders are just as vital to your car’s performance as any of the other components. After all, the tire should be the only thing touching the pavement, which means it’s responsible for translating all your inputs for steering, braking, and acceleration into actual movement. But rubber is so 20th century, and if you’ve seen any futuristic sci-fi movie, you’ll know it’s about time we move on. It would seem Goodyear agrees – just check out its Eagle GT 360 concept, presented last year. Note: Goodyear Eagle GT 360 concept pictured here. Here are the basics – the 360 is a spherical tire that utilizes magnetic levitation to keep the car suspended over the rollers. The concept is like four marbles in the corners, offering enhanced traction and maneuverability with incredible lateral movement capabilities. The 360 also gets adaptive materials that will adjust to the conditions at hand for even greater competence in less-than-ideal conditions. Pretty awesome, if you ask us. But spherical tires and magnetic levitation suspension? Sounds rather complicated. By comparison, the Michelin concept is a little more credible in terms of real-world application, although it should be reiterated it’s highly unlikely we’ll see this pop up as an option at TireRack.com any time soon. Either way, Michelin’s concept is still very cool. Because it doesn’t mount an inflatable rubber component to a hard metal wheel, the Michelin concept is essentially puncture-proof. The design incorporates a honeycomb biomimetic structure (translation – the design mimics the sort of structures you’d see in nature) and is made entirely from environmentally friendly, 100-percent recyclable materials. It’s also biodegradable. The design is also long lasting, with 3D printers adding further tread to the tire surface whenever it’s needed, so say goodbye to regular tire rotations. This also means you can custom tailor the tread pattern to suit whatever the driving conditions and weather might be, whether it’s snow, rain, off-roading, or high heat, yielding the same levels of performance as a traditional rubber tire. Finally, Michelin says the tire/wheel is “connected,” collecting info regarding tread wear and suggesting programs for a reprint when needed. But we wanna know – what do you think of the Michelin Visionary Concept? Do you think it’ll get any traction (sorry not sorry)? Let us know in the comments.